Around this time of year, pumpkin is aplenty. Instead of using it for the countless pies you'll bake this holiday season, do something a little different and try these pumpkin spice donuts. 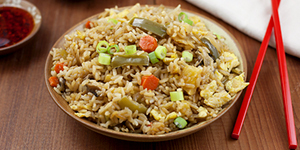 They are moist, full of flavor and perfect for any time of the day. From spiced lattes to baked pies, this is the time of year that pumpkin really shines. While we love the traditional pumpkin recipes, we also like to get a little creative when using it in the kitchen. 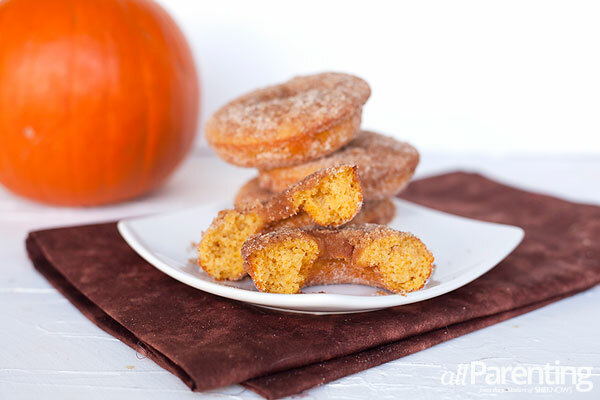 And that's exactly what we did with these baked pumpkin spice donuts. With pumpkin puree, maple syrup and plenty of spices, it's everything you love about fall all wrapped up in a tasty donut! Preheat oven to 350 degrees F and lightly grease the donut baking pans. In a small bowl, mix flour, salt and baking powder and set aside. In a large bowl, add vegetable oil, eggs and 1-1/2 cups of sugar. Using an electric mixer or a whisk, beat until combined. Add the pumpkin puree, 1 teaspoon cinnamon, 1/4 teaspoon of both ginger and nutmeg and maple syrup. Continue to beat the mixture. Slowly add the flour mixture while beating until the dough is smooth. Fill greased donut pans a little less than 3/4 of the way full with the pumpkin spice donut batter. Bake donuts for 15 to 18 minutes, or until a cake tester inserted in the middle of the donut comes out clean. 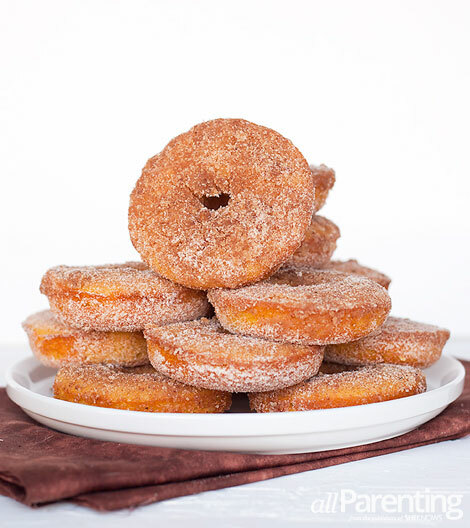 While the donuts are baking, make the cinnamon sugar topping by mixing the remaining 1 cup of sugar, 1/8 cup of cinnamon and 1 teaspoon of both ginger and nutmeg in a medium bowl or a large Ziploc bag. Stir or shake to combine and set aside. Also, melt the 1/2 cup of butter in a microwave safe bowl to use for dipping the donuts. Once done baking, remove the donuts from the oven and let them cool in the pans for about 5 minutes. Then gently loosen the edges using a butter knife and transfer to a baking rack. Carefully, dip the donuts in the melted butter and then the cinnamon sugar topping. Be sure to coat both sides of the donuts with the topping. Once dipped, the donuts are ready to eat. Store remaining donuts in an airtight container at room temperature.